The Waldegrave Ensemble is a flexible group with a wind quintet at its core. They perform a wide range of repertoire for wind quintet and collaborate with string and piano players to perform larger mixed chamber works. Since forming in 2009 the Waldegrave Ensemble have set out to embrace new ways to engage their audiences during their performances; incorporating storytelling or theatre into performances or collaborating with dancers and using visual stimulus to enrich their listeners experiences. The ensemble believe that the future of classical music is with the youth of today which makes them passionate about their outreach and education projects to help encourage younger generations to learn instruments and enjoy classical music through their waldegrave explore series. The Ensemble are enthusiastic about working alongside composers to create and perform new chamber works. Recent collaborations include performances of 'Calendar of intolerable inventions from around the world' by Hong Kong born composer Raymond Yiu and the 2016 world premiere of a new quintet by British composer Matthew Taylor. Sarah recently graduated from Trinity Laban Conservatoire of Music and Dance with distinction, and was awarded 'The Friends in New York of TCM London Award' for excellence. 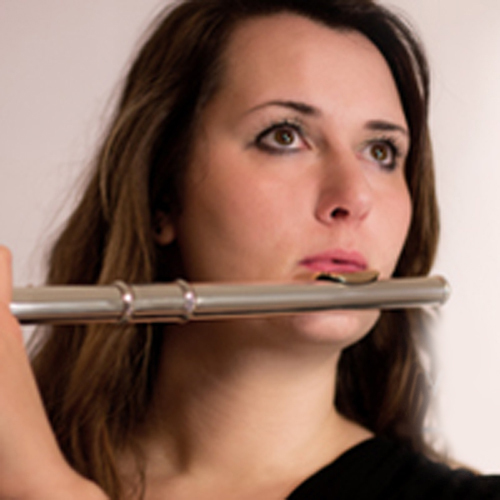 During her studies, Sarah primarily learned with international soloist Susan Milan, and Alan Baker (piccolo). In 2008, Sarah was awarded the Trevor Wye Wind Prize in Kent, and played principal flute with Kent County Youth Orchestra. She went on to study music at the University of Manchester and was taught by Alan Lockwood and Victoria Daniel. Here she played principal flute with the flagship University of Manchester Symphony Orchestra, as well as the contemporary ensemble Vaganza, collaborating regularly with the Royal Northern College of Music. She has since performed in masterclasses taken by Emily Beynon, Paul Edmund-Davies, Karen Jones, Susan Milan, Anna Noakes and Wissam Boustany. 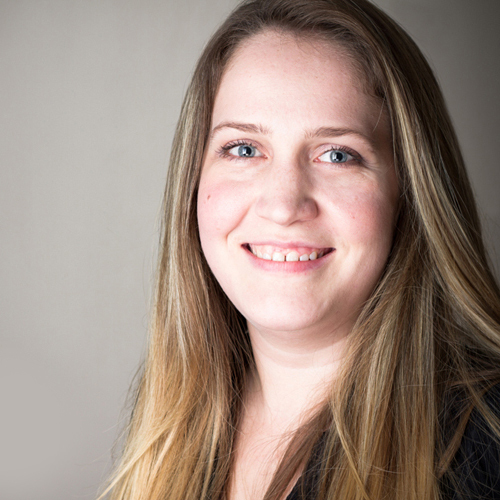 Now based in London, Sarah freelances with many orchestras around the city and has performed with members of London Symphony Orchestra, Philharmonia, Bournemouth Symphony Orchestra and Royal Philharmonic Orchestra. She is also an active chamber musician, playing with the Waldegrave Ensemble who have played as part of recital series' including Blackheath Halls, St James' Piccadilly, Regent Hall, Bourne Hall, HHH concert series (2017). They have also recently had a work written for them by Matthew Taylor. Sarah also enjoys performing as a soloist, and recent concerts include Nielsen's flute concerto with the LSE symphony orchestra in December 2015. 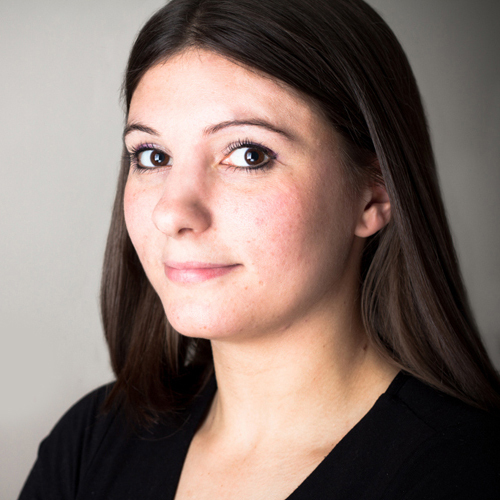 She is also passionate about inspiring the younger generation through workshops and teaching. Jenny began studying the oboe at the age of nine and from an early age was a part of the school orchestras and local music festivals. Jenny attended The Purcell School and at sixteen joined the National Youth Orchestra of which she was principal oboe. With the orchestra she played under a number of conductors including Sir Colin Davis and Sir Simon Rattle; the latter taking the orchestra at the BBC Proms in the Royal Albert Hall. She has most recently been a part of the Britten Pears Orchestra as well as playing with the Birmingham Opera Company in their production of Verdi's 'Otello'. She has also just got back from the European Union Youth Orchestra's Spring Tour 2011, which saw them visit a number of countries throughout Europe, where she played principal oboe in a selection of their concerts. As well as having played in several renowned venues across Europe, she has also performed a solo recital at St John Smith's Square. To further her studies in Music Jenny attended the Royal Academy of Music for a year where she continued to learn with Melanie Ragge, and then went on to finish her degree at the Birmingham Conservatoire. Learning with Jenni Phillips and George Caird on Oboe and Anna Cooper on Cor-Anglais. Having now finished her degree she is currently living in London, continuing to work as a freelance musician performing at venues across Europe, as well as teaching in her local schools. Despite originally starting out his career in architecture, Elliott's passion for music soon transitioned into a freelance career performing and teaching around London and the South-East. In 2014 he received the Ann Driver Trust Scholarship and in 2015 the Trinity Laban Award to study a two year masters course in performance at Trinity Laban Conservatoire of Music and Dance, where he studied clarinet with Michael Whight and Joan Enric Lluna. 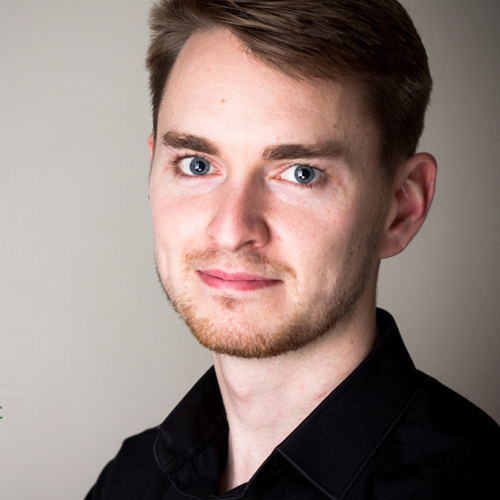 Elliott thrives on his interest in chamber music and founded the Waldegrave Ensemble, a flexible ensemble based a wind quintet and regularly expands to include strings, harp and piano. He also plays with the Denman Street Quartet a quartet of three clarinets and bass clarinet, playing a range of music from classical to swing and jazz for a range of corporate events, weddings and recitals. Over the past few years he has had several TV & Film appearances including ITV’s ‘Keep it in the Family’ with the Amadeus Orchestra, SkyOne's 'League of their Own' with the Sinfonia Tamesa and as part of the orchestra in the 2011 film 'First Night' featuring Richard E Grant and Sarah Brightman. His previous solo performances include Copland’s Clarinet Concerto with the Amici Orchestra, Mozart’s Clarinet Concerto with the Waldegrave Ensemble, Mendelssohn's Konzertstucke No. 2 with the CLIC Sargent Charity Orchestra and Krommer's Clarinet Concerto with the Richmond Orchestra. His performances have taken him to many prestigious London venues, along with tours across Europe to Germany, Netherlands and Spain. Charles began his musical life as a chorister singing in Westminster Abbey and St Margaret’s Church next door. However he soon took up the horn, aged eight, and attended the Centre for Young Musicians, London Schools Symphony Orchestra, and the Royal College of Music Junior Department. He studied at Trinity Laban Conservatoire of Music and Dance, followed by the Guildhall School of Music and Drama with Jeff Bryant, Hugh Seenan and Richard Bissell, completing his Undergraduate degree and a Postgraduate sponsored by the Worshipful Company of Tobacco Pipe Makers. Since graduating in 2011 Charles played for a year with the European Union Youth Orchestra followed by a year with the Southbank Sinfonia. 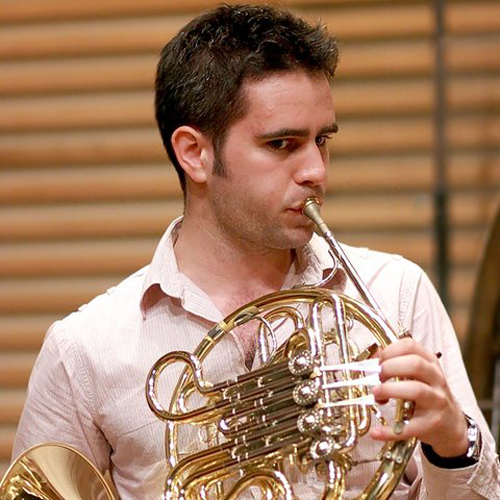 He currently has a varied freelance career having played with the Philharmonia, BBC Concert Orchestra, English Classical Players, Bampton Classical Opera, Orpheus Sinfonia, World Youth Orchestra, Sinfonia Cymru, and the Young Musicians Symphony Orchestra. When not playing or listening to music Charles enjoys running and gardening, but not at the same time. Emily Kate Murphy graduated from the Royal College of Music in 2012 with a Postgraduate Diploma after spending 5 years as a bassoon scholar studying with Andrea di Flammineis, Martin Gatt and Sarah Burnett. She also spent several months in Lyon, France studying with Carlo Colombo at the Conservatoire National Superieur de Musique et Danse de Lyon as part of the Erasmus Exchange programme. Emily has performed in masterclasses with Daniel Jemison, Marc Vallon, Robin O’Neill and David Petersen. Since graduating Emily has performed with orchestras throughout London and the South West such as the Orchestra of the Royal Opera House, New London Sinfonia, Southern Sinfonia and the London Firebird Orchestra. She is also an active chamber musician, as the bassoonist with the Waldegrave ensemble who have performed recitals at venues such as St James Piccadilly, Regents Hall and the Old Royal Naval College Chapel, Greenwich. Emily is also passionate about music education and has delivered educational workshops with the Carter Quintet and Waldegrave Ensemble. She regularly performs in productions with Arts Active in Cardiff, including at the Welsh Proms in the Tiddly Prom, an interactive performance for under 5’s.